BDP’s principal, chair of design and head of workplace Mark Simpson started his career at the company in 1985. However, his path to the top of the multidisciplinary practice’s interior design team has been far from straightforward. After studying interior design at Leicester Polytechnic, now De Montfort University, Simpson moved to London. A job offer soon followed, from BDP’s then head of design Rodney Cooper, who had been part of the original team setting up the dedicated interior design offering in what was a traditional architecture practice. As a junior designer in a team of around 15 people, Simpson cut his teeth working on projects like the Singapore Treasury and the Reuters building with Martin Cook and Franco Greco. ‘The Reuters project on London’s City Road was the first big project for me as a sort of rookie designer,’ Simpson says. ‘[It] was probably one of the first warehouse conversions – a 6,500 sq m building that used to be a warehouse for a tobacco company – and we turned it into Reuters field operations [base].’ In the Eighties a design studio looked somewhat different from its counterparts of today. ‘In 1985, we had one computer and everyone was on drawing boards apart from one CAD machine in the corner,’ Simpson says. He says technology has been a major gamechanger in the industry and BDP is at the forefront of BIM (Building Information Modelling). ‘But having said that, I think it’s still very important to have designers who can draw and use a pencil,’ he adds. Simpson says the level of design graduates is very strong, particularly looking at the technical skills of new starters. However, where technology has had a more questionable influence is the speed at which projects are expected to happen. ‘It could be easy to send something out the door that’s not really fully thought through. It’s important to maintain an overview of the design as well as the programme and the cost,’ he explains. After completing the Reuters project, Simpson started looking around for new challenges. He joined Hanson Noble Architects, where his first solo project was a shop for menswear brand Woodhouse on the King’s Road, London. But then the recession of the early Nineties kicked in. After a few years of freelancing, Simpson formed collaborative design studio Amalgam with a couple of former colleagues. ‘It was probably one of the first co-working studios, which was quite different for its time,’ he says. There, he worked on projects for a variety of clients, including Daks flagship store on Bond Street, as well as office refurbishments for Lloyds TSB, the British Council, English Heritage and the BBC. 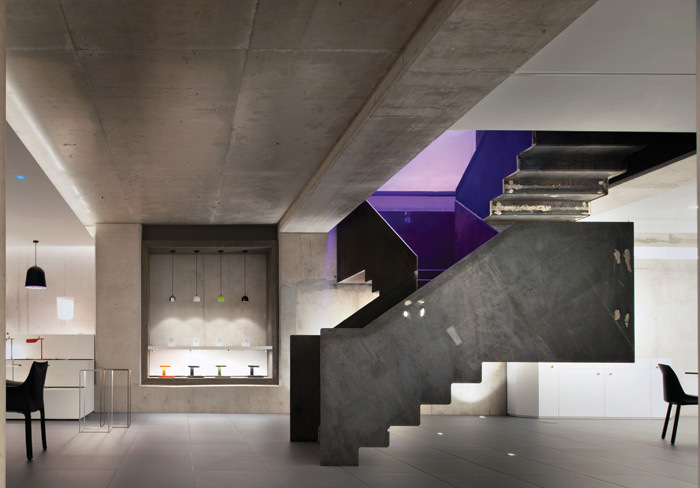 In 2008, Simpson joined American firm HKS Architects’ London studio as director of interior design. While there, his project for Avon Cosmetics UK headquarters won the 2011 BCO award for Fit Out of Workplace. Then, Simpson was approached by Martin Cook, head of design at BDP. ‘I’d had similar conversations with him before but the timing of this one was good, so I jumped at it,’ Simpson says. So in 2012, he joined BDP again, this time as design director. Last year, Cook retired and Simpson was made a principal and head of design, as well as appointed head of workplace. His team consists of some 50 people, encompassing interior, furniture, product and graphic designers, and workplace strategists. Simpson values BDP’s collaborative culture and the variety of projects taken up by the practice. The company brings together architects, designers and engineers, enabling employees to draw on each other’s expertise. ‘There’s a great benefit of all of those specialisms being under the same roof,’ Simpson says. Currently, BDP is lead architect and designer for an office refurbishment in the City, and the design team is constantly drawing on the expertise of acousticians and structural engineers. Simpson adds that this experience of collaboration also helps when working on projects in partnership with other consultancies, whether they’re engineers or architects. Working on projects from different sectors provides the interior design team with varied experience and opens up new ideas. ‘Whereas lots of other firms are purely workplace, purely retail, or purely healthcare, we have multisector expertise and I think it’s good for members of the team at whatever level to move around different sectors and get broad experience,’ says Simpson. 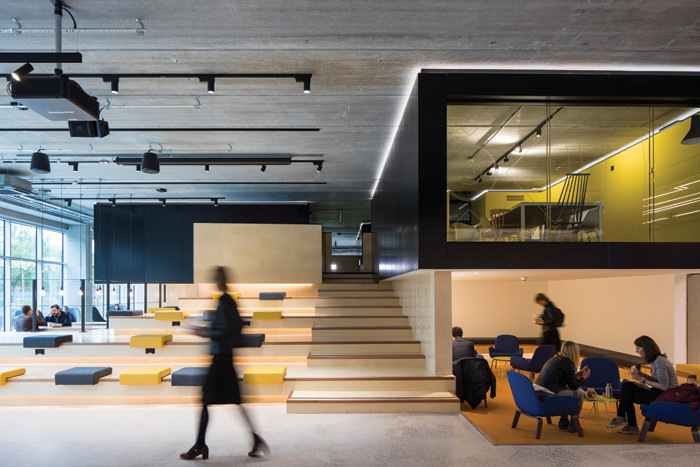 In addition to workplace, which takes up around 30-40 per cent of the interior design team’s business, healthcare, education and retail are also part of BDP’s expertise. ‘Particularly workplace and education have a lot of synergies,’ adds Simpson. As university students are used to working in an agile way, they are increasingly seeking that same way of working once they enter the workplace. 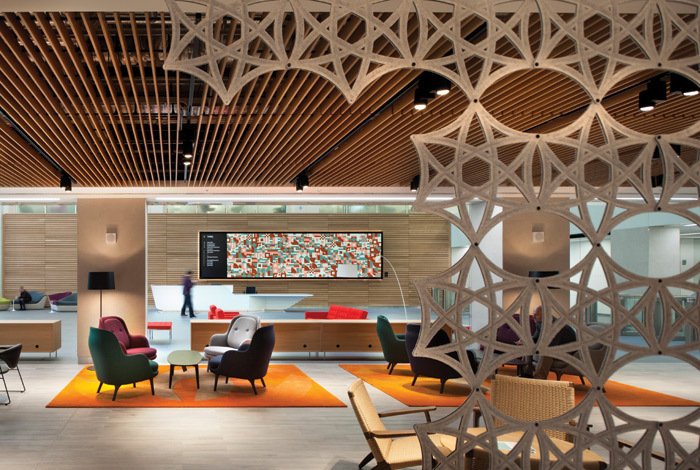 As BDP ramps up its workplace strategy offering, Simpson reflects on the wave of change disrupting the traditional chained-to-the-desk solution. ‘There can be a general perception that you get a workplace strategist in and all they tell you is: “Knock down your office walls,” and that sets the hares running,’ he says. Simpson cites Google as a recent example of a new kind of workplace that is no longer just a nine-to-five affair, but is also focusing on employees’ wellbeing. BDP is working on Google’s new £650m UK headquarters in London’s King’s Cross as lead consultant, design delivery architect, workplace planner and interior designer, alongside concept architects Heatherwick Studio and Bjarke Ingels Group (BIG). 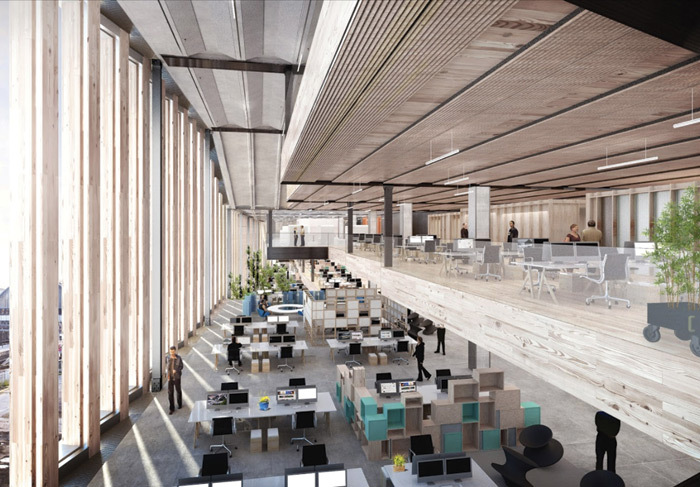 Another large project for the practice is AstraZeneca’s new research and development centre and corporate headquarters in Cambridge, working alongside concept architect Herzog & de Meuron. 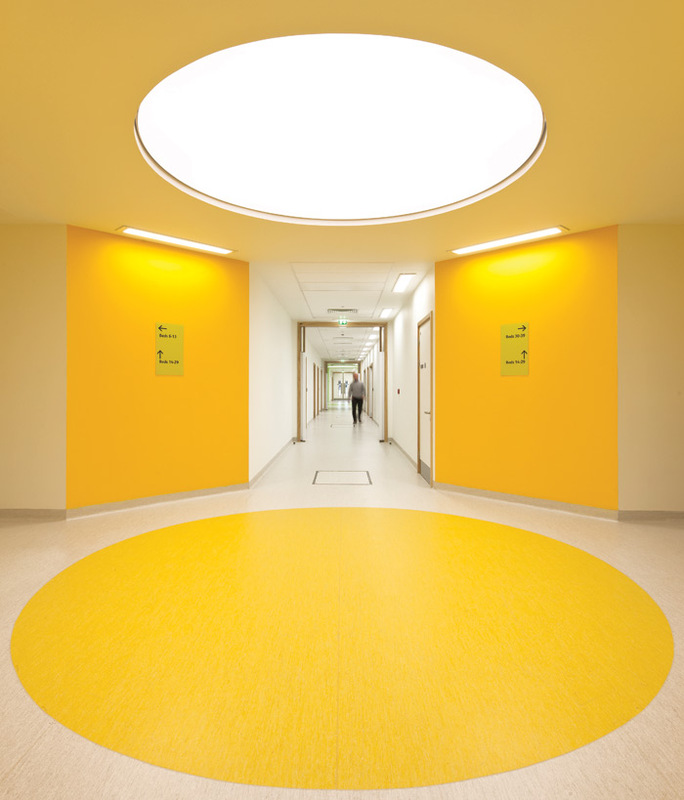 In healthcare, Alder Hey Children’s Hospital in Liverpool was a result of BDP’s integrated services, leading to the New Children’s Hospital project in Dublin, due to be completed in 2019, and the practice’s recent win to redevelop Great Ormond Street Hospital. In retail, Oxford Westgate, a mixed-use development, opened late last year, while Simpson points out that the practice also undertakes smaller projects, such as showrooms for lighting supplier Atrium and Italian furniture brand Poltrona Frau.